Wondering about which diet plan to use? There are so many out there, how do you choose the one for you? To help you make your decision, I am providing you with the straight scoop on the Paleo Diet. This is the last blog in this series on Myths and Facts about obesity using information from the New England Journal of Medicine article. 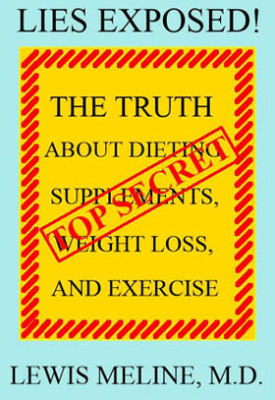 Because there are so many myths and fallacies concerning obesity, nutrition, health, exercise, supplements, diets. etc., I could never write enough blogs to dispel them all. Whenever great information like this comes along I will pass it on. There are so many myths and fallacies concerning diet, exercise, weight loss, supplements, etc., that I could never write enough blogs to dispel them all. However, sometimes great information comes along that I would like to pass on to you. This blog is a continuation of the information from an article in the New England Journal of Medicine. There are so many myths and fallacies concerning diet, exercise, weight loss, supplements, etc., that it is impossible to figure out what you need to do to lose weight, let alone be healthy (unless you know the truth). To dispel some of this false information, let's look at an article from the New England Journal of Medicine. This is a well respected and popular medical journal. They should give the straight scoop. Now that you have been unsuccessful in losing weight using diet plans, supplements and exercise programs, you decide to see your doctor. Something's got to give. How is your doctor going to determine if you need diet pills or not? You may also want to read my blog Physicians and Weight Loss where I discuss the genetics of obesity. You have tried several diet programs and exercise routines, but you still cannot lose that stubborn weight. Is it time to see your physician? Maybe you have something wrong with you. Maybe it is your genetics and there is nothing you can do about it. Read on for some valuable information to help you figure it out. You've been trying to lose weight for awhile now and tried several diet and exercise programs, but you just cannot seem to lose any weight. Is it time for diet pills? Isn't it great that we have so many supplements? They improve your life in so many ways. Improve your arthritis symptoms, improve memory, help you lose weight, slow aging and many, many other things. Right? Every once in a while you just need to make a reality check. This is one of them. Read on to find out how safe many of your supplements are. So you need to lose some weight. You keep hearing about exercising to lose weight, so you think about hitting the gym. However, once you get there, what are you going to do? What exercises do you need to perform? How much should you workout? What supplements should you take? So many questions. Where do you find the answers? Read on and I will answer them for you.